indigo fabric brought from Japan. I embroided it with Sashiko stitches. I added a piece of fabric I had in my stash. Tout a fait ravissant !!! comment allier esthetique et fonctionnel.. I love the look of sashiko! 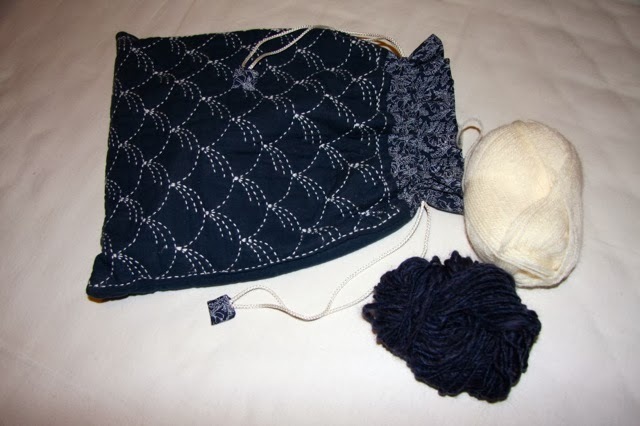 What a great bag for your knitting! Is the Japanese fabric much different from our quilting cottons? 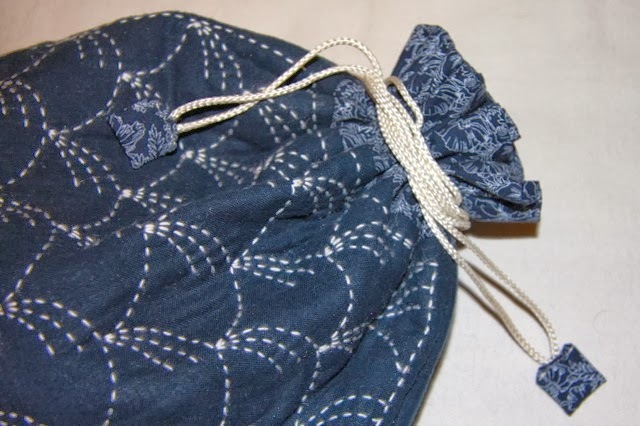 I love traditional Japanese fabrics and I love this bag. 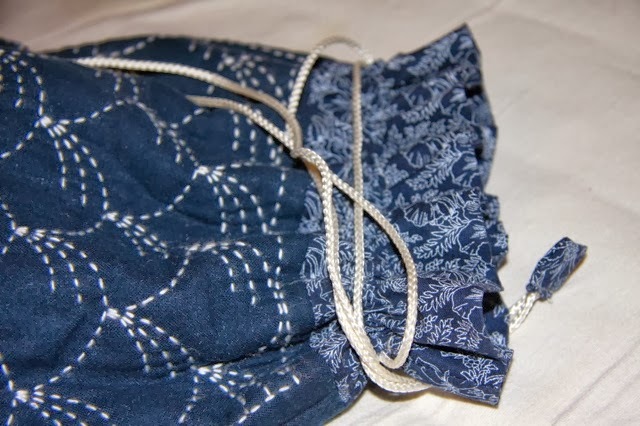 One day I hope to do more Sashiko myself. So far I've done one class. What a very pretty knitting bag! 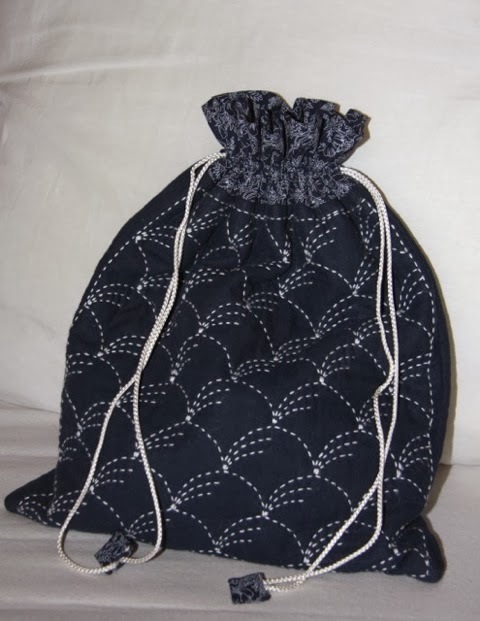 I took a Sashiko class a long time ago but I don't remember actually making something useful. I think we just practiced the designs. Your bag is very nice. What will you use it for? I love that pattern. Very pretty bag! So pretty...indigo is my all time favorite color. Very neat pattern for the stitching!